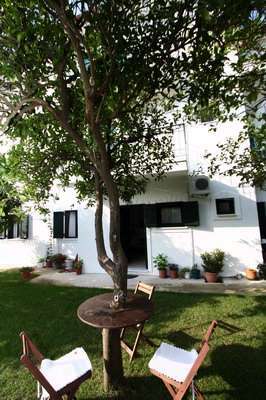 Matina House, in the resort of Parga is in an elevated position. On top of a lush hill in Parga near the castle area. The Matina house has some older studios & 1 apartment on 1st & 2nd floor. 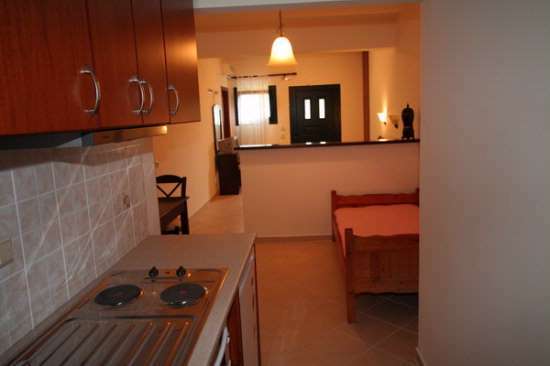 These basic, yet well cared for studios all have a kitchen and private shower/bathroom. 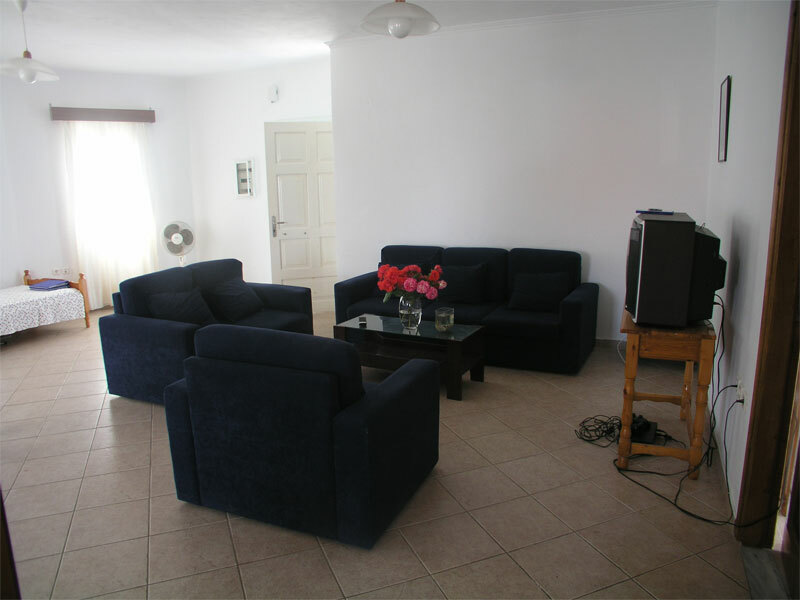 There are also some very modern & well equipped studios and one apartment on the ground floor. 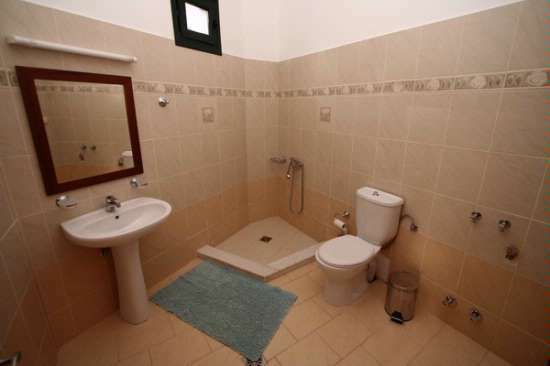 The two-bedroom apartment is located on 2nd floor and consists of two bedrooms, a sitting area, dining area, fully equipped kitchen and one bathroom. 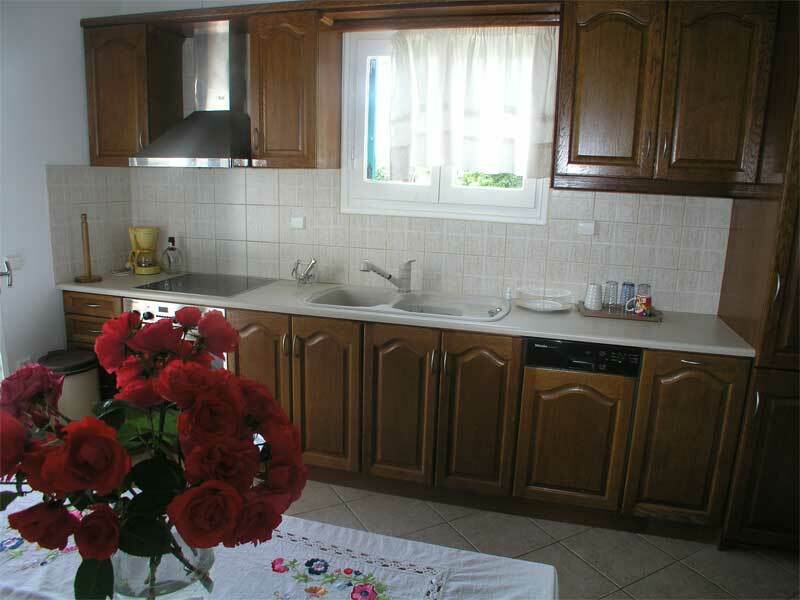 Very large apartment with nice views over Parga and the sea in the distance. 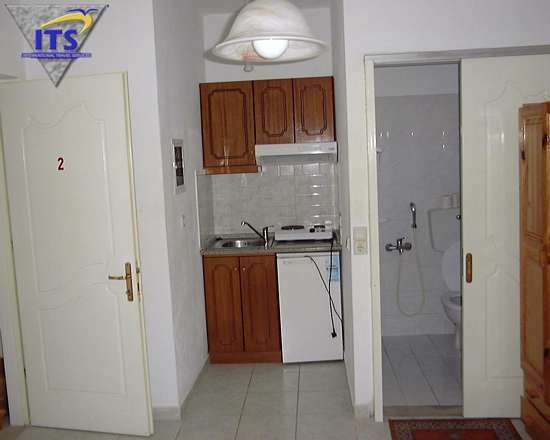 There are also 3 studios located on 1st & 2nd floor which were constructed in the year 1999. These are of normal size - clean with basic furniture. One of them can sleep up to 3 persons and the other two can sleep only 2 persons. 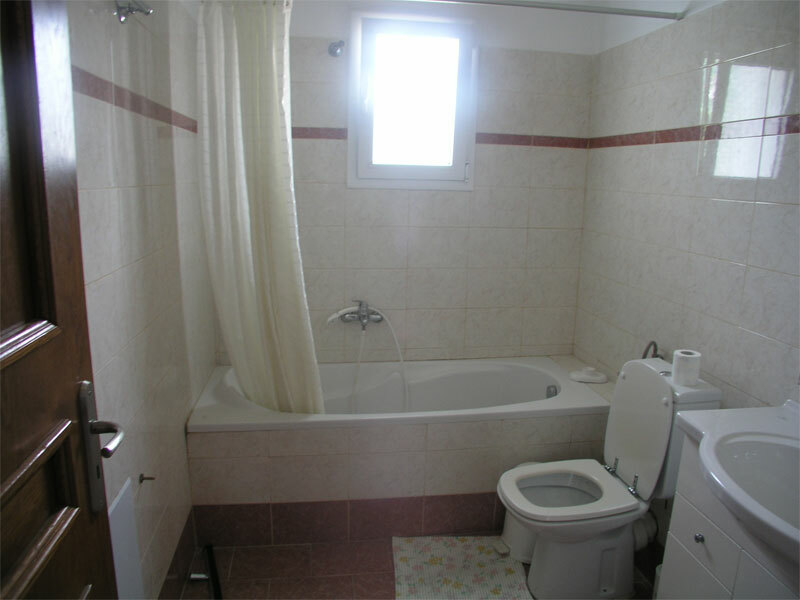 A 1 Bedroom Apartment 3-4 persons. 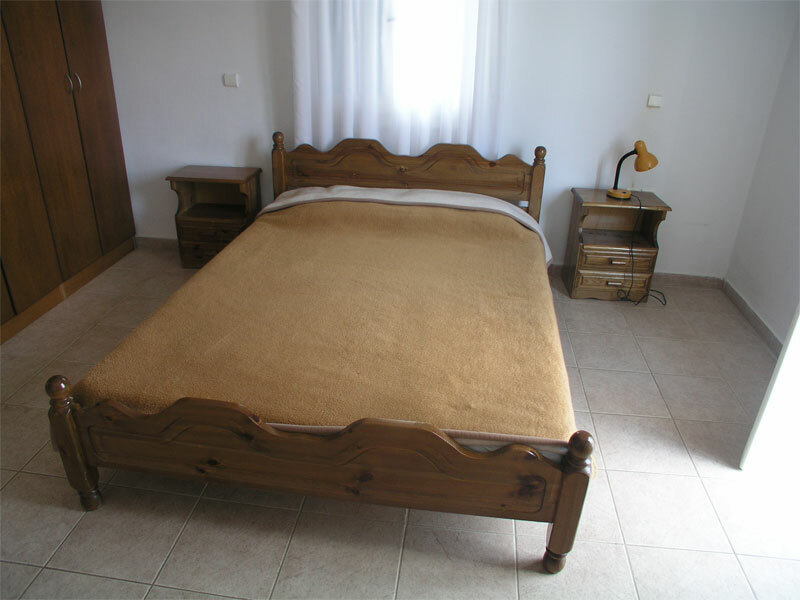 The bedroom sleeps three persons and there is a sofa bed in the kitchen-living area which can sleep a fourth person. 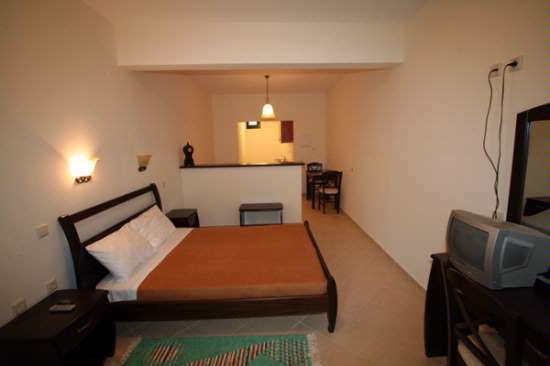 Next to the apartment there are 2 very spacious studios where can sleep up to 3 persons in each studio. There is air-conditioning (paid locally to the owner), television & kitchen corners with 2 electric rings and a mini oven in studios. 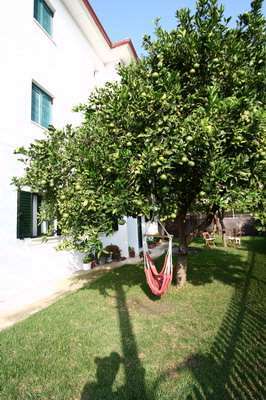 Matina House is in a lovely peaceful location, away from traffic, surrounded by fertile hills rich in ancient olive groves. A great retreat for a fantastic holiday in Parga. 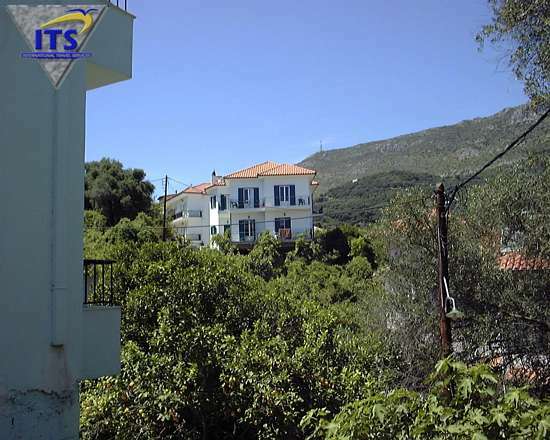 Distance to Valtos beach is a 10 minute walk via a steep pathway and supermarkets within 5 minutes walk. * Please note this property is not suitiable for people with walking difficulties.